The 22nd Malankara Catholic Ordinary Holy Episcopal Synod was held from February 19 to 23 to discuss the topics “The Ecclesial Establishment and Sanctification of Families” and “The Formation and Year of the Youth.” The Synod was conducted at the Catholicate Center in Pattom with His Beatitude Moran Mor Baselios Cardinal Cleemis Major Archbishop-Catholicos as the Chairperson. The Synod commenced with the celebration of Holy Qurbono. The late prelate Most Rev. Dr. Geevarghese Mar Divannasios was remembered during the Holy Qurbono and dhoopa prarthana was celebrated in his memory afterwards. 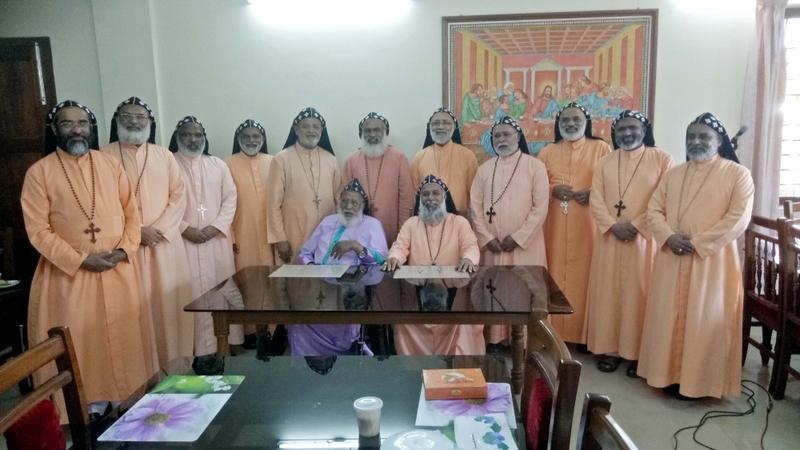 The Synod Fathers also met with the Major Superiors of the various religious congregations, the faculty and seminarians at the St. Mary’s Malankara Catholic Seminary in Nalanchira, Trivandrum, and secretaries of the various Synodal Commissions. The Synod also felicitated Bishop Thomas K. Oommen, the newly appointed moderator of the Church of South India and His Grace Most Rev. Dr. Philipose Mar Chrysostom of Mar Thoma Church for receiving the Padma Bhushan from the Government of India on his centennial birthday. During the Holy Qurbono on the second day of the Synod, the late bishop Most Rev. Thomas Mar Dioscoros was remembered. Afterwards, the blessing of the newly constructed Synodal Commission Offices and a seminar regarding the policy on education by the CBCI were conducted. Following the instruction of Holy Father Pope Francis, the Synod prayed for those who are suffering in Syria, South Sudan, Congo, Madagascar, and other places as a result of war and natural calamities. 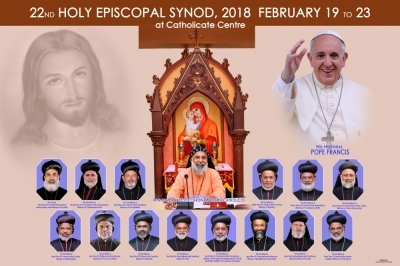 His Beatitude also exhorted in his concluding message to the Holy Synod to pray for India and for the Church in India due to the political atmosphere seen today. The 22nd Ordinary Holy Episcopal Synod concluded on April 23rd with noon prayer and dhoopa praarthana at the tomb of Servant of God Mar Ivanios.